Well, unfortunately, not wildly, severely, I don’t think. It’s not that anyone’s out there counting heads. It just seems there are fewer. It’s the black-legged ticks we’re talking about. Those are the ones that carry Lyme [disease]. They’re the little tiny ones that are hard to see. For some reason, there seems to be at least as many Dog Ticks this spring. 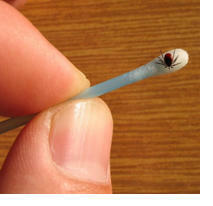 Lots of people have been saying, “Hey, where are all the ticks coming from?” Those are larger and don’t carry Lyme. Ticks, because they are flat, don’t like hot, dry weather because they dry out easily. They have a lot of surface area to their volume. And so, when it’s hot and dry, they either die or drop out. They snuggle down in the grass and hide and when you walk past they can grab you. You mentioned two different kinds of ticks that carry different diseases. If you find a tick on you or on your child on your pet, how do you determine which is which? Ah, don’t worry about it. Just take it off. Don’t worry about it at all? Just take it off. It can be a little tough because they can be different sizes at different times in their life. The nymph ticks can be small. Just pull them off. Don’t do anything fancy with a match or anything. If you’re really worried, you can save them. Put them in a jar of alcohol. You can actually send them to UNH to ask what they are, but that’s probably not worth it. You should assume that it might be a tick that carries Lyme, but it takes…I forget, forty-eight hours or something for the disease to make it into your blood. Just watch where it bit and if it turns into a target, a red ring around a red dot, then you should go see a doctor. So tonight’s Science Café is about Lyme Disease, which some of these ticks do carry. You wrote that New Hampshire that has the highest percentage of people with Lyme Disease? I’ve seen numbers passed around that northern New England is the Lyme capital of the US. We seem to have the highest population, probably. It kind of depends. It’s not always that easy to determine what is and what isn’t Lyme, which is why it’s been controversial. This number is hard to pin down. It’s hard to pin down. It’s not like there’s an automatic test from every patient so it’s only people who are reporting symptoms or their doctors have concerns, get tested. So it’s not the whole population. But there’s no question there’s an awful lot of it here. In general, though, the best prevention for Lyme Disease, or coming in contact with ticks, aside from staying at home and never leaving your house, is what I mentioned earlier: tucking your pants into your socks. Correct? That’s one of the very good ways. The best prevention is to not get the tick to bite you in the first place. You want to go outside, because it’s gorgeous. What’s the point in living in New Hampshire if you don’t go outside? So there are various remedies. I have, for example, a pair of pants coated with an insecticide embedded in the fabric, and I keep it in my mudroom. And it doesn’t smell or anything and they don’t look weird, but I keep them in my mudroom, and any time I go out to the garden or in the high grass where the ticks will grab onto you…deep woods is okay, but where the ticks can stand on the top of the grass and grab you when you walk by. I tuck my pants into my socks, and if ticks do grab me, they start crawling up and over my socks and land on my insecticide-laden pants and they will be unhappy and fall off or hopefully die. If you don’t have those kind of pants, you should still tuck them into your socks and will stay on the outside of your pants, so when you come back in, you check your pants (it’s better if they’re light-colored) and see if there are ticks. Above and beyond all that, you need to check yourself at the end of the day, you need to take a shower…check yourself, look underneath your armpit and in your groin and all these other places. And if you have lots of freckles it’s hard. If you’re dark-skinned, it’s particularly hard. But that’s part of life in New Hampshire now. Next time you’re heading through Hooksett, N.H. on I-93, look for a Tesla electric car stopped at one of the dozen charging stations. Chances are, you won’t find a Tesla or any other kind of electric vehicle there. These stations are not used very often. David Brooks, reporter for The Concord Monitor and writer at Granitegeek.org, spoke with NHPR’s All Things Considered host Peter Biello about why these charging stations are so infrequently used. If you’ve ever wanted to change the color of something—your car, a wall in your dining room, or even your shirt—you may have wished that you could just snap your fingers and voila, you’ve got a new color. 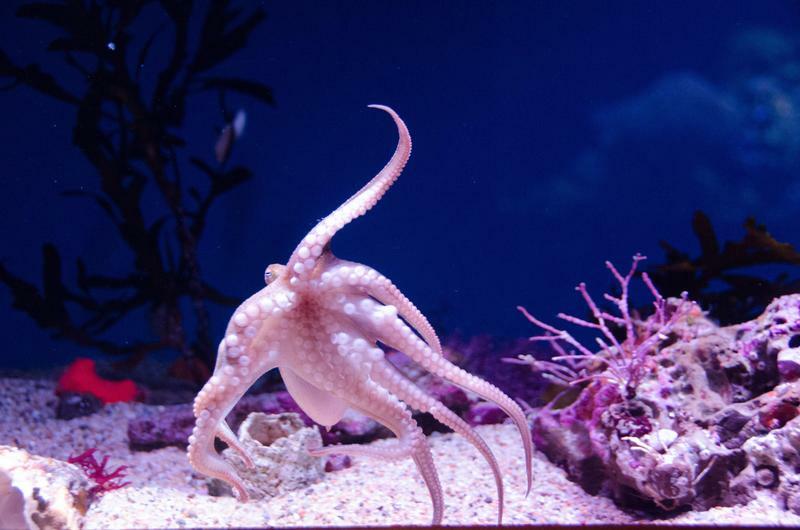 It’s a skill that cephalopods like squid and octopuses have already mastered. Now some scientists are studying this ability in squid so they can learn how to make materials and fabrics change color in the blink of an eye. Artificial intelligence has come a long way in the past few decades, and recently it’s taken a step forward that has left some folks feeling a little dismayed. A computer program is now able to beat the best Go players in the world—something it hasn’t been able to do before. And it did so by learning. The computer was able to study millions of examples of the game and learn how to beat human competitors. NHPR's Peter Biello spoke with David Brooks, a reporter for The Concord Monitor and writer at Granitegeek.org, about "deep learning." 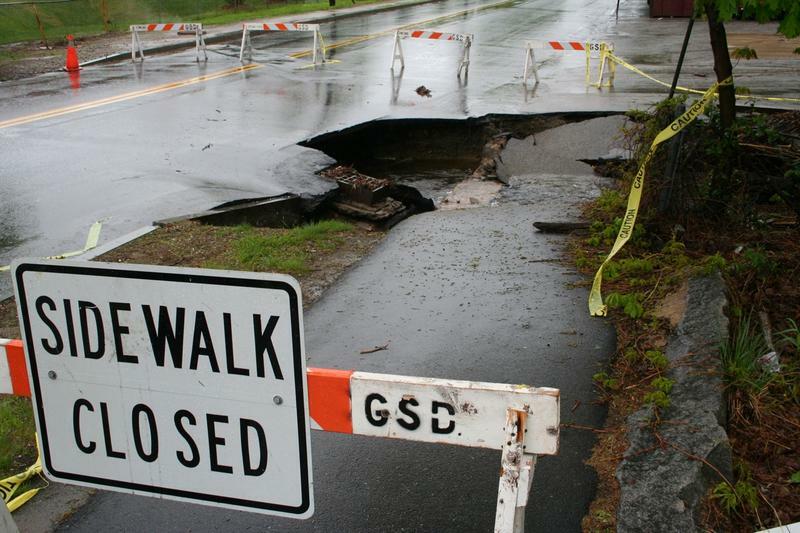 Granite Geek: Citizen-Scientist Network Gauging Flood Danger in N.H. If you live near a river, chances are you’ve imagined what kind of damage a flood could do to your home. It’s difficult to predict what exactly a hard rainfall could bring. And, as we speak, a volunteer network that stretches beyond New Hampshire’s borders is gathering data on rainfall with the goal of predicting likelihood of flooding or other potential hazards. For more on these efforts, we turn to David Brooks. He’s a reporter for The Concord Monitor and writer at Granite Geek.org. Imagine a world where people could choose genetic traits like eye color for their children. This science fiction could be fact due to new gene modification technology called CRISPR. Here to explain this new technology is David Brooks. He’s a reporter for the Concord Monitor and a writer at Granite Geek.org. So, explain for us briefly, what is CRISPR?